Prof. Dr. Bruno Brühwiler is the Convenor to ISO/TC 262 WG 2. He has been involved with OSO 31000 since its very beginning in 2005 when ISO TMB (Technical Management Board) established a working group which was asked to write the standard. He was actively engaged in Austria’s creation of their standards in risk management and published some renowned books on risk management. He talks about his background and the highlights and challenges in risk management and as a Convenor of WG 2 as well as the work done at the last meeting of WG 2 in Sunnyvale. Rodolphe Civet is the Secretary to ISO/TC 262 WG 2. He is head of »Management, evaluation, fundamental disciplines, services (B to B)« at AFNOR, the French national standardization body. His focus is Risk Management and quality management. He explains his background and professional career, the highlights in coordinating the work of TC 262 WG 2 and his biggest challenge as secretary to TC 262 WG 2. Also, he gives some insight on the accomplishments of the working group. Following TMB approval on February 7th, 2017, Jason Brown, who had been nominated the new chairman of TC 262 by BSI, took office. He succeeded Kevin Knight. Jason is a corporate director in Thales in Australia with a range of global responsibilities and extensive standards experience. He talked to isotc262.org about his career, his journey to risk management and his views on the future of TC 262. José Alcorta is ISO Technical Program Manager for TC 262. He has been involved in standardization since 1995. In 2011 he joined ISO at the Central Secretariat. He participated at the TC 262 meeting in Amman in October 2016 and talked with isotc262.org about his role as Technical Program Manager and about ISO Management System Standards and the role of Risk Management in in this context. Interview with Kevin W. Knight AM on October 21st, 2016 in Amman where TC 262 honored the Ambassador of Risk Management to become their symbolic »Honorary Chairman« at the end of the last Plenary Meeting chaired by him. Kevin gave an insight into his life and what he thought were the highlights and disappointments in risk management and in security and resilience for him and what were his biggest challenges. 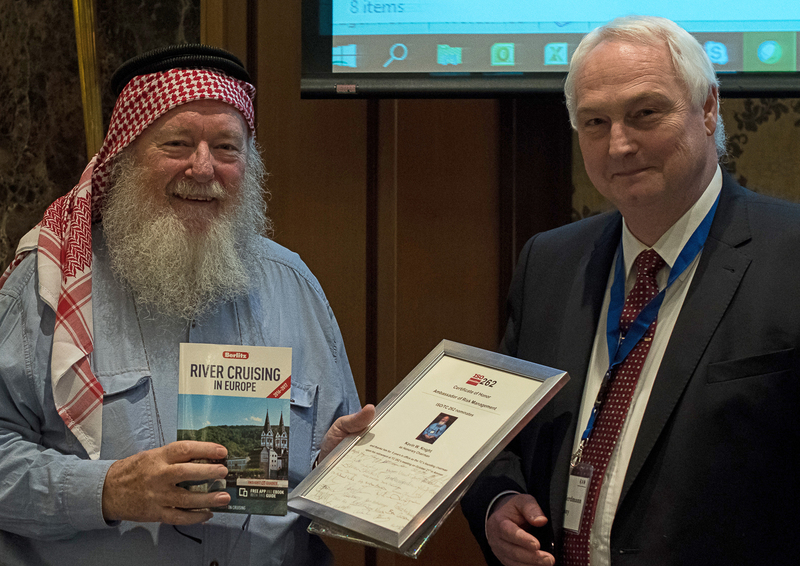 As one of the plans of Kevin and his wife for the near future is a river cruise in Europe a suitable guidebook was given to him as a tool for practical risk management for planned travel experiences. On November 13th, 2015 in Rio de Janeiro, Brazil, Marcelo Baêta Chaves, analyst with ANS, the Brazilian National Regulatory Agency for Private Health Insurance and Plans (ANS), interviewed Julia Graham, deputy CEO and technical director for AIRMIC, the United Kingdom Association for Insurance and Risk Management professionals, and UK expert delegated to TC 262. They were talking about general Risk Management Questions.